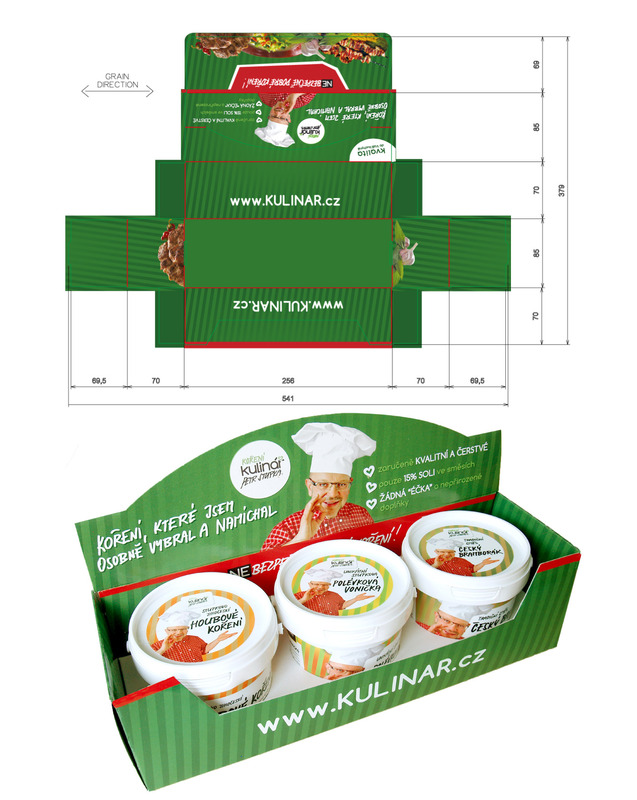 The present portfolio of Kulinar Seasoning contains huge variety of the original seasoning mixtures, flavoured salts, special baking sets, flavoured pastes and more. 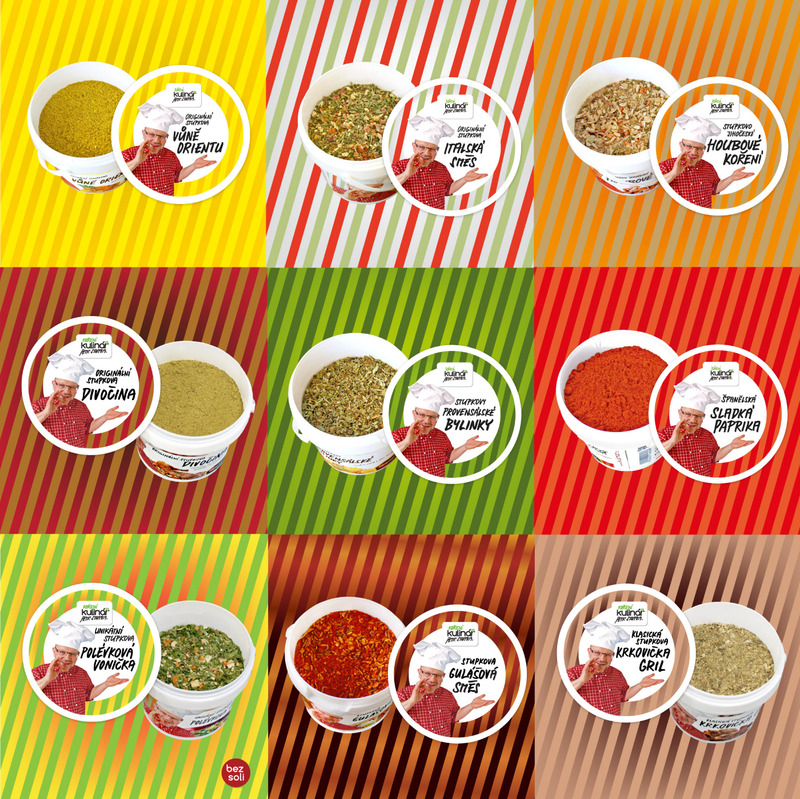 We used colour stripes to support main tagline ‘dangerously good seasoning’ and also to catch attention of potential customers. 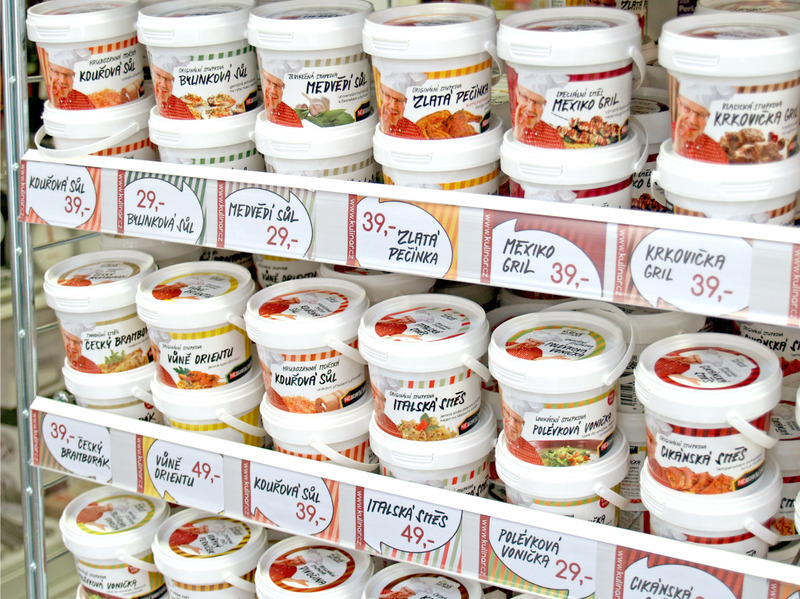 Each bucket is easy to recognise from others by its unique colour scheme. 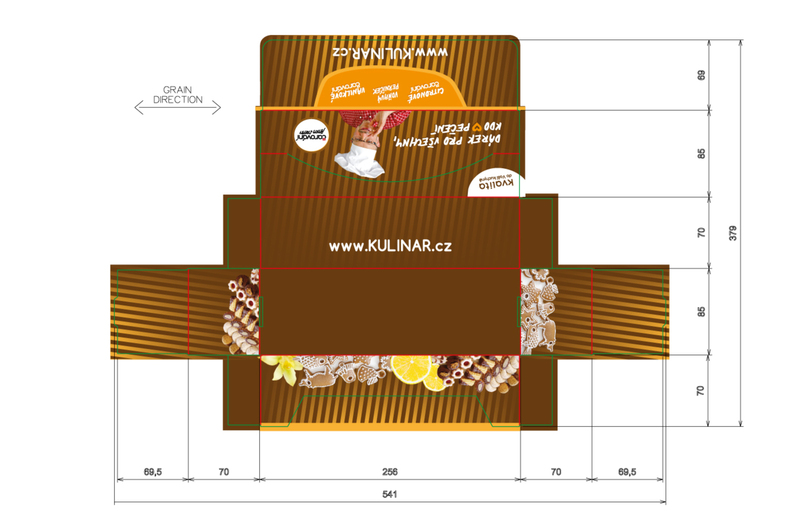 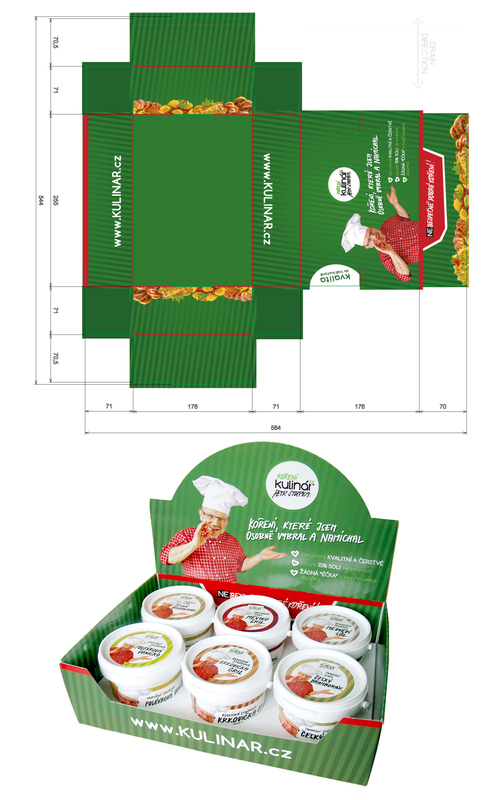 Special 3-pieces and 6-pieces gift boxes were designed by us to support selling of the products as a smart gift packaging.